Need added height to reach things on the top shelves? 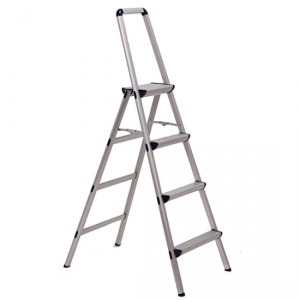 Turn to the Cosco 20-552ABL Lite Solution Aluminum Step Ladde Lightweight but sturdy, this five foot boxed frame aluminum step ladder comes with slip resistant step treads for security and a large platform top step and has a ANSI Type 11 Duty Rating of 225-pounds. Also features non-marring skid resistant leg tips. When not in use, you can fold it up into a compact size for easy storage. Finally, a very versatile step stool that provides extra reach when needed. The Xtend & Climb FT-4 Aluminum Stool features high-quality, industrial-grade aluminum construction that is lightweight, yet provides strength and durability. It folds down to only 6in.D for compact storage. The top step is 42 3/4in.H. 225-lb. weight limit. Ideal for household projects and general maintenance. 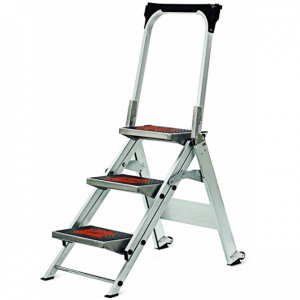 Make your construction and painting tasks easier with the Louisville Ladder 250-Pound Duty Rating Aluminum Stepladder. 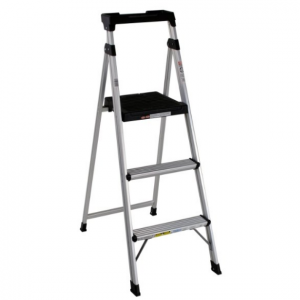 Manufactured with aluminum that is lightweight and durable, this stepladder is able to hold up to 250 pounds. It’s multifunctional Pro-Top are equipped with spaces for holding your drills, paint, fasteners, and multiple hand tools. Also features aluminum angle feet with thick rubber tread on all four legs for sure footing. 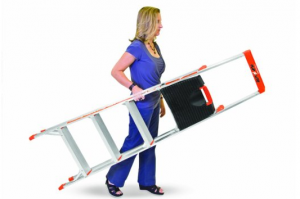 Designed to be safe without being expensive, the Flip-N-Lite 300-Pound Duty Rating 6-foot Stepladder with Platform is perfect for any seasoned construction pro or busy do-it-yourselfer. 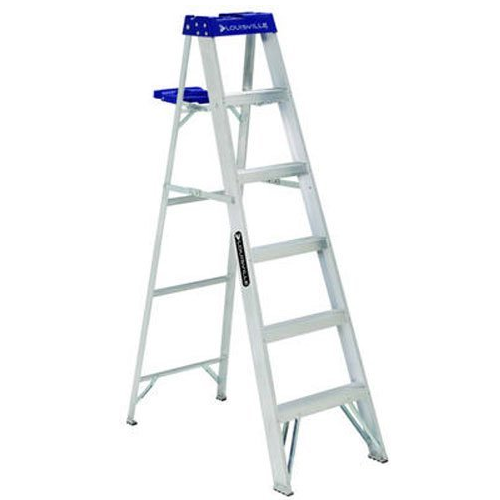 This super lightweight step ladder features huge, comfortable standing platform that eliminate foot pain and fatigue. Its slim profile allows for easy transport and storage. Can hold up to 300 lbs. A perfect climb-in-comfort solution. 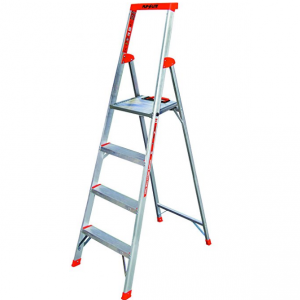 Simple, yet strong, the Little Giant Safety Step is perfect for both light house chore and heavy industrial job. The unit is constructed with super-strong, lightweight aerospace-grade aluminum and features wide, slip-resistant steps for unmatched comfort and stability. It is also very easy to use. You can open and close it with one hand. Folds up easily and stores in only 5.5-Inches of space so you can store it just about anywhere.